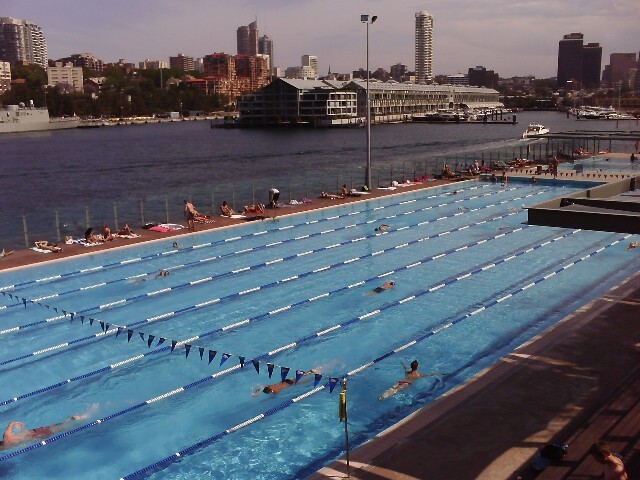 Most large suburbs in Sydney have a public swimming pool, majority of these with an Olympic sized pool (50 meters). List below are the public pools available. Click on each on to get pictures, entry fees and directions on how to get there. 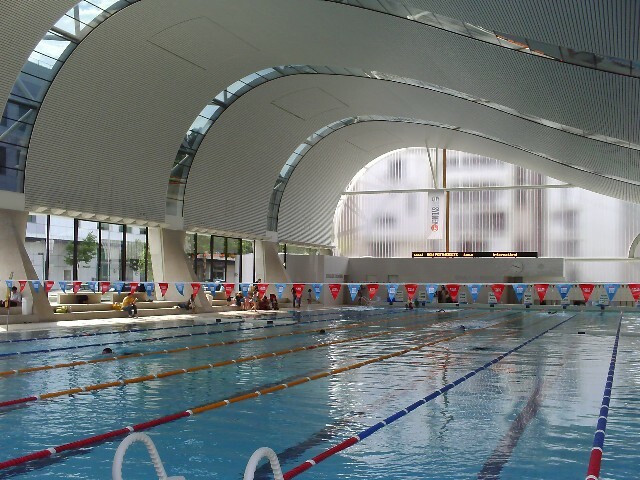 Ian Thorpe Aquatic centre is one of the newest and best public swimming pools in Sydney. Cook and Philip Aquatic Centre is located right in the heart of Sydney's Central Business District, right across the road from Hyde Park and the Australian Museum. They have an indoor 50m Olympic sized pool, kids pool with wave machine and fully equipment gymnasium. 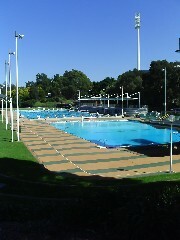 Boy Charlton Swimming Pool is located in the city next to the Domain and Botanical Gardens. 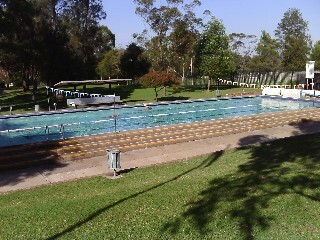 Granville Swimming Centre is a heated swimming centre opened all year round. 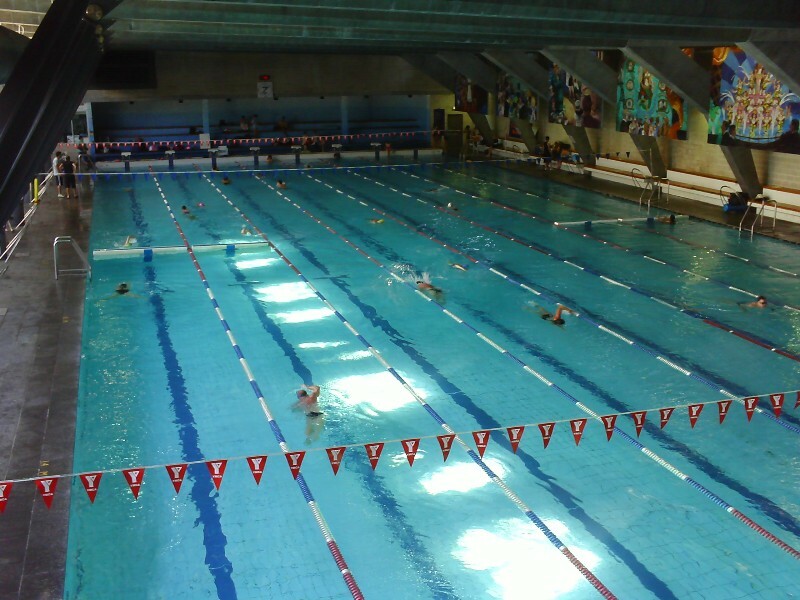 The centre has an Olympic sized swimming pool (50m) a 25m pool and kids swimming pool. 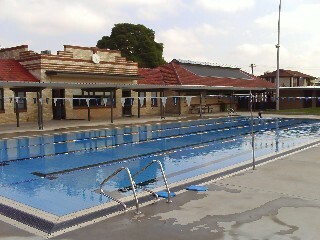 Parramatta Memorial Swimming Pool is located in the western suburbs of Sydney. Open during the summer months, closed for winter. 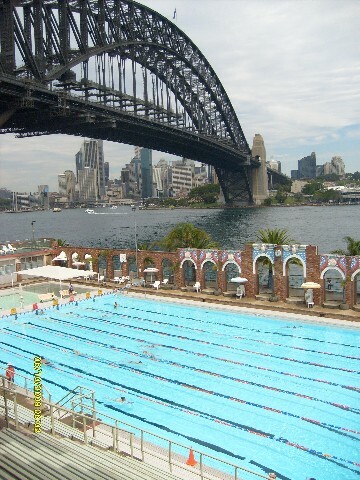 North Sydney Swimming Pool is located right next to the Sydney Harbour Bridge (pictured to the right) with an outdoor 50m swimming pool and an indoor 25m pool, both heated all year round. Probably the best swimming pool in Sydney, definitely with the best view. Ashfield Aquatic Centre has an Olympic sized (50m) outdoor, heated swimming pool and water polo pool and indoor 25m pool, both heated all year round. Auburn Swimming Pool has an Olympic sized (50m) outdoor swimming pool, diving pool and a 25m indoor heated pool which is opened all year round. 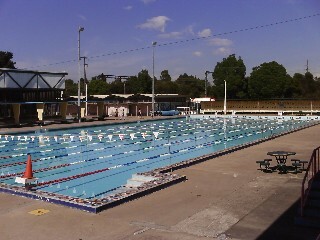 Guildford Heated Swimming Centre is a small aquatic centre in the south western suburb of Sydney. The centre has a 25m outdoor swimming pool and kids pool and an indoor 25m pool. All pools are heated and opened all year round.